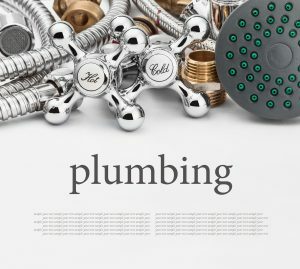 We all know that plumbing system needs regular care, maintenance and upkeep. If you do not wish to call your emergency plumber at odd hours, you need to do a few tasks yourself. Many people argue that in spite of having regular inspection and repair services done, they still face problems. The problem arises because we are not able to take care of the system as we should. To maintain your plumbing system, you need to ensure that you take the right measures at right time. Heard About Drain Clearing Products? Yes, we all know about the amazing ability of such products, but do you realize that the chemicals used in these products can actually harm the system. Another problem is that any of these clog clearing products are not capable of removing the whole clog. As a result, the clog tends to recur. If there is a recurrence, you will again use the chemicals, which will eat away the pipes and drains further. Thus, with repeated use of such chemicals you are actually harming the entire system. Instead of doing it all by yourself and damaging the system further, hire a good plumber and let them remove the whole clog. Instead of clearing away clogs whenever they occur, a good option is to do everything to prevent the future clog. Clogs are a big nuisance and cause undue stress and worry. You need to keep a close watch on everything which goes down. You need to ensure that hair does not go down bathroom drains or food scraps do not move down kitchen drains. Sewage and toilet paper should only be going down the toilets. Another good option is to have a screen installed over the tubs and showers. You should also remove hair or scraps you notice on the screens. Ensure that scrap food is trashed before you do the dishes. Grease should also not be poured down the drain as it tends to get solid after it moves down the drain. It tends to block the drain and causes undue clogs. Many homeowners are not aware that if the water has a high level of mineral content, it can actually shorten the life of your plumbing system. There is a natural tendency to build up minerals, calcium and magnesium in the pipes. This causes a restriction in the water flow and increases high pressure. The build up of minerals also tends to corrode away fittings and joints. If your area is known for its high mineral content, you can install a water softener. This will help in preserving the water system. You need to take special initiative to prevent leaks and flooding, which will help you in avoiding trouble. You need to know the location of the main water shut-off valve. Thus, if there is any leak, you can quickly turn off the valve. This shall prevent water flooding in your entire house. Lastly, whenever you notice any problem with your plumbing system, try and fix it as soon as you can. Remember, even minor leaks can erode your pipes and drains quickly. The water damage shall be huge.